I was rather afraid (see what I did there!) 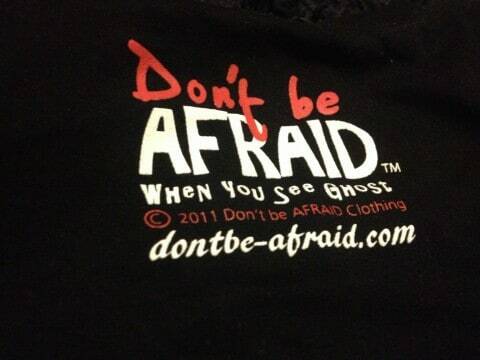 of reviewing Don’t Be Afraid’s clothing. It’s certainly an acquired taste and not something we usually feature here on HYA. That’s not to say that it is not good or anything like that, I just found it a bit of a daunting task because of the clash of cultures and taste. 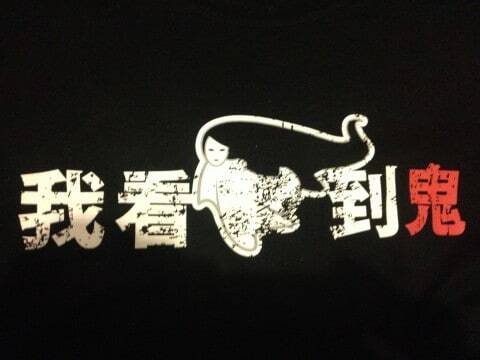 However, much like a cheesy B-Movie I’ve grown quite fond of this design by DBA, I feel like I’ve entered into a secret group meeting of Asian horror lovers but don’t quite know where to sit. 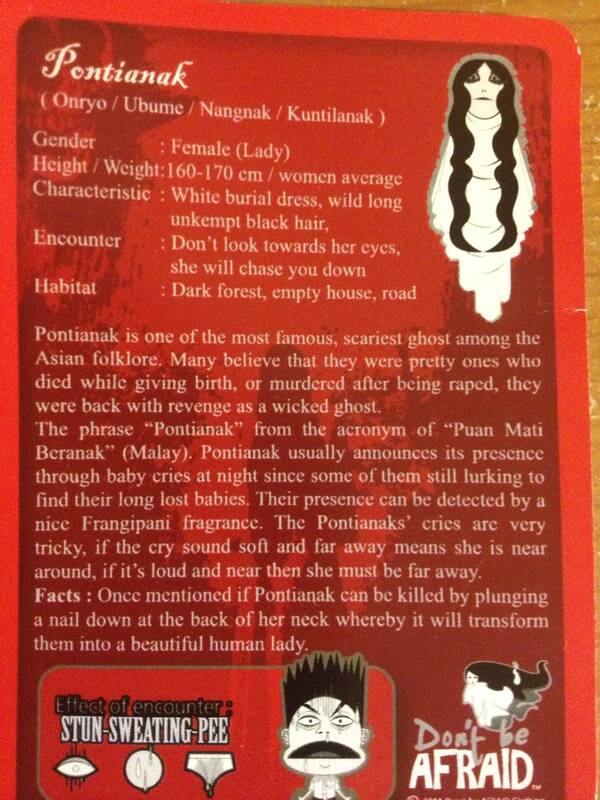 What I can tell you though is that this design is based upon the ghost known as Pontianak, one of the most famous and scariest ghosts among the Asian folklore. It’s a bit of an odd one, some of you may love it and some of you may hate it when looking into the history and ideologies of this ghost. I shan’t stray too far into it in case you’re a bit squeamish or uninterested but you can read the information on it in the pictures or in the links provided. 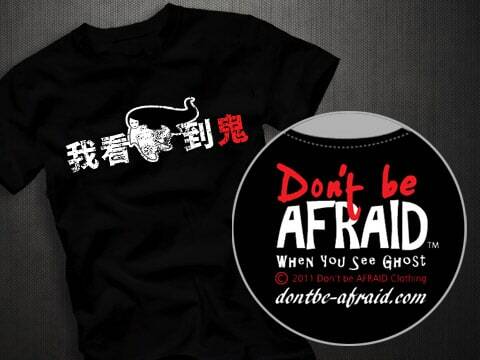 The design isn’t going to win any awards, it’s nice and simple and means ‘I see Ghost‘, it’s similar in style to the I Love NY t-shirts and so forth. It’s nice that they’ve incorporated the image of the ghost into it instead of just a (foreign) text. The choice of ink is plastisol, which is pretty standard in the t-shirt world, just about every store you walk into sells shirts printed with plastisol. Apparently this ink is used when fabric flexes a lot, so it’s suitable for running and in general exercise garments which means it should be pretty long-lasting on a regular t-shirt. I’ve tried stretching the design and it doesn’t show any of the t-shirt beneath it, I have had my concerns about whether the print might crack because of this, but have been assured by Dont Be Afraid that it can take well over a hundred washes without cracking, so my concern might just be due to never having a t-shirt with this form of ink on it before. 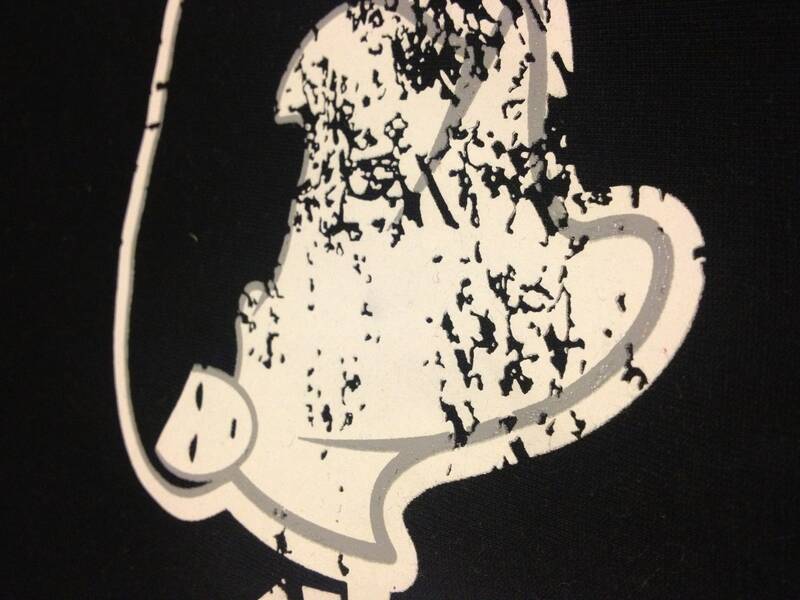 Even if it did though it wouldn’t matter as the design is cracked anyway. The addition of an inside and outside print on the neck adds to the professionalism, combined with the sleeve tag and lovely choice of thread colour on the stitching it looks really nice. I’m a sucker for a nice black and white combo and it oddly stood out to me so much, just a nice simple change like that really made me like this t-shirt a lot more than I thought I would. 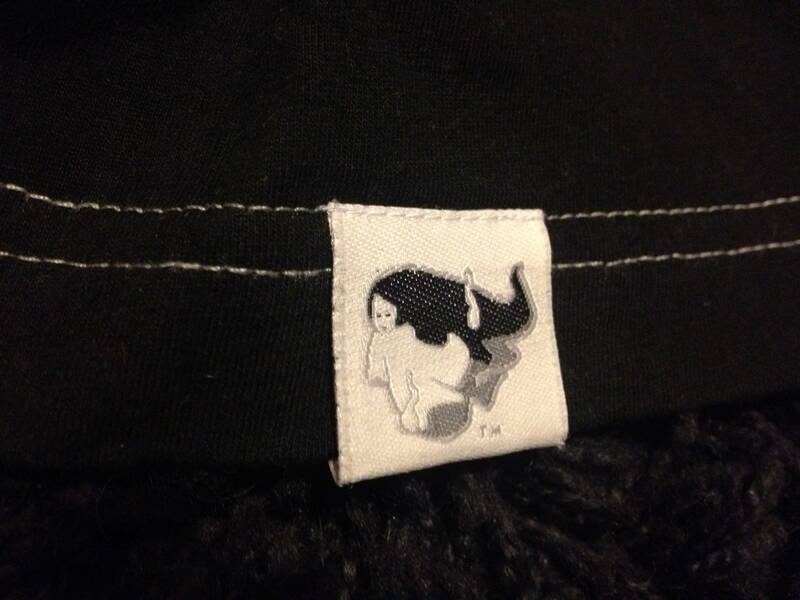 If you’re going to be purchasing a t-shirt from Don’t Be Afraid, which some of you may, definitely check the sizing on it. This t-shirt is a large but the arms feel slightly tight under the armpit, now this could be due to the standard sizing in Singapore but to me it just feels slightly too tight for a large tee. Don’t let it put you off though, if you’re into horror films and more specifically Asian horror films, which is a huge market, you might just find yourself something you will enjoy here.